The list also includes those employees who are absent from 2008 without any prior permission from the management. 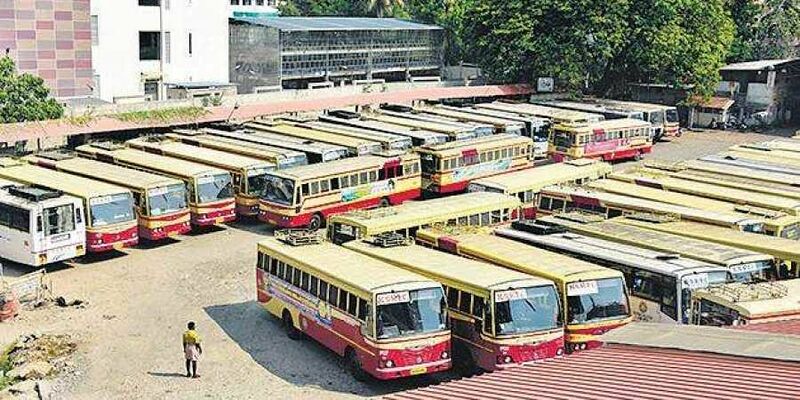 THIRUVANANTHAPURAM: A week after sacking its 773 employees for unauthorised absence, the Kerala State Road Transport Corporation (KSRTC) has issued another order terminating 134 employees for the same reason. The corporation has terminated the services of 65 conductors and 69 drivers for absence from duty without submitting leave and for not reporting back for work on completion of the sanctioned leave. The order to sack the 134 permanent employees attached to the corporation’s operating wing was issued by chairman and managing director Tomin J Thachankary. The list also includes those employees who are absent from 2008 without any prior permission from the management. By terminating the services of the 134 permanent staff, KSRTC has prevented their move to enter the service by producing medical certificate and securing pension, said Thachankary. The Sushil Khanna report has recommended that the 8.7 employees per bus in the KSRTC be brought down to the national average of 5.5. By scrutinising such employees, the corporation will be able to manage the national average of employee to job ratio, and will be able to provide service with the required number of employees. If there will be a demand for more employees in future, the corporation may recruit young employees through the PSC, Thachankary said. The corporation has terminated the services of 65 conductors and 69 drivers for absence from duty without submitting leave and for not reporting back for work on completion of the sanctioned leave. The order to sack the employees attached to the corporation’s operating wing was issued by chairman and managing director Tomin J Thachankary. The Sushil Khanna report has recommended that the 8.7 employees per bus in the KSRTC be brought down to the national average of 5.5.